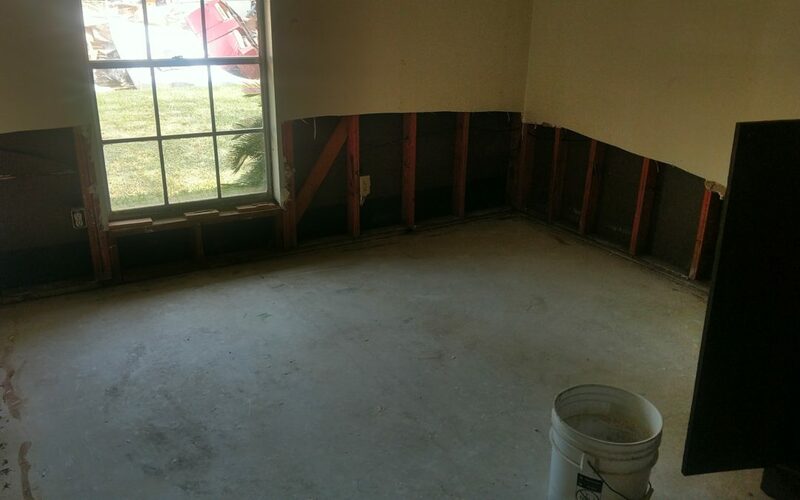 Finding a Contractor After the Flood | Professional Engineering Inspections, Inc.
Finding a contractor after a disaster can be difficult and stressful, especially on short notice or under the conditions of a disaster. Construction work is something that most people have a difficult time dealing with, even when they have had time to prepare and plan. Dealing with it with no notice and no place to live or under poor living conditions is especially stressful. The National Academy of Building Inspection Engineers (NABIE) has put together a few recommendations to help you find a reputable contractor and to reduce problems during reconstruction of your home or business. These are just general guidelines, but they should help you to avoid some of the pitfalls under difficult conditions. Define the work to be completed. To reduce misunderstandings, wide differences in estimates, and future stress, you should define the work that needs to be done to repair your home or building as much as you can. You may need assistance from a professional to assess the scope for these repairs. This scope can be in your own words, but works best in a bullet format in writing. This is the process of “defining the scope of work” and can be used in your agreement with the successful contractor. Your first draft does not need to be perfect, but it needs to be your best effort in explaining the work that needs to be done, as well as any additional work that you want done. Even if you hire a professional to complete this aspect of the work, having a list from you is helpful. In most cases, construction cannot start until after your insurance adjuster has reviewed site conditions and approved the work. This work will be based upon the scope of work the insurance adjuster has determined is necessary. Often, you can use your adjuster’s report defining the scope of work as a starting point for developing your own construction agreements. If you determine there is more work needed than your adjuster recognized, then you may need to confer with your adjuster and provide justification for any needed additional work. When there is a dispute getting the additional work covered under insurance, you may need to hire an engineer, architect, or other professional to explain why the additional work is needed. Often a NABIE engineer can assist with this eventuality. The materials to be used should be specified when you have a specific preference or when it is considered important. Where there may be complex issues, you may need a NABIE architect or engineer to assist. This might include balcony repair, structural repair, HVAC design, or any other areas requiring permitting. The standards for the work should be clearly stated and a stipulation that all work will meet the requirements of the authority having jurisdiction in your community. Keep in mind that some repairs will require updating aspects of your home or building to current code requirements. Define the minimum insurance coverage you wish the contractor to carry, such as workmen’s compensation, business liability, auto coverage etc. Obtain a certificate of insurance from your contractor with you as a named insured prior to the start of any work. Your insurance agent should be able to help with this concern based upon site conditions and the value of your home and contents. Include requirements for keeping the work site clean, controlling access, defining material storage and protection from deterioration or damage, or other factors which can improve overall quality. Also include how payments will be scheduled and how disputes will be handled if they occur. Simple things like a cleaning schedule are often overlooked and can affect the quality of the work to be done. You may be able to work with a contractor, your insurance agent, or a NABIE architect or engineer to help you define these critical construction documents. After you have developed the construction agreement defining the terms of the work, you should solicit bids for the work. This should include any contractors who assisted you, as well as additional contractors qualified to complete the work to obtain multiple bids. Be sure the bids are clearly written on the company letterhead and cover the scope of work that you have defined. The use of this type of process allows you to evaluate contractor bids against a common standard and ensures that all contractors clearly understand the work to be completed. At a minimum, get 3 bids, and more if possible, as this will help you to understand the average cost of repairs. It is best to use local contractors when they are available. During times of crises, storm chasing contractors will come to town to capitalize on the work. Unlike an out-of-town contractor, local contractors should be available in the future for warranty work and should have local references available for consideration. Since most businesses rely on social media for advertising, these days this makes such resources more effective, both in evaluating a potential contractor and making others aware of your opinions. Don’t pay your contractor up front or for any work that is not completed. This creates a risk that you will be out money with no work or materials to show for it. In the worst cases, we have had clients pay the full fee up front never to see the contractor or their money again. NABIE recommends that you only pay for materials or work that has been satisfactorily delivered or completed. Most contractors will require some deposit to start work, but this should either be minimal or should be negotiated to cover delivered materials necessary to start work. Make it clear in your work agreement and in the discussions with your contractors that you have the option of hiring third party inspections for all the work performed at any stage of the process. Advise the contactor that you will be relying on these inspections and that you expect the contractor to follow all reasonable recommendations as a result of these inspections. Always have pre-construction meetings on site before work starts or at critical stages to ensure everyone has the same expectations and understands the work to be completed at the current stage. Require that inspections be performed at critical stages before things are covered up. If you have concerns about mold, be sure there are provisions for testing by a licensed contractor and consult with them before work ever begins since this is a specialized field and is often not covered by most construction professionals. If the job is more than a room or two, NABIE strongly recommends hiring an architect, engineer, or other consultant who can help you document the process and help you work through difficulties that often arise. NABIE engineers specialize in construction inspection and quality assurance. Even where other engineering disciplines may be involved in the construction process, a building inspection engineer or architect brings field experience across several disciplines to assist in communication between the technical and site trades in obtaining quality construction. Contact a NABIE member near you if you have further questions.